Remove rind of salt pork, and cut into 1/2-inch squares, and saute to a golden brown. Add water and beans, which have been cut into 1/2-inch pieces. Add thyme and cook until beans are tender. Cut corn from cobs and add to beans. Cook 15 minutes. Dice onion very small, brown in the butter, add flour. Use this to thicken the liquid on the corn and beans. The amount of flour will vary according to the amount of liquid. 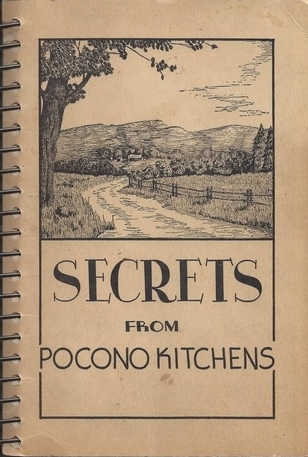 More "Lost" Recipes from "Secrets from Pocono Kitchens"